Well Turban's are back, a real street style trend, which I love! I've noticed even on Facebook, there have been groups about turban's, no clue why? As not to do with fashion. Turban's Can be worn classy, or even grunge, though is a classic vintage look ( seems us Brits can't get enough of vintage ;) ), though in 2007, Prada attempted to bring back the turban but it didn't really pick up too much. Turban's can be purchased at places such as beyond retro, and I'm sure you could make your own turban, I will *attempt* that! 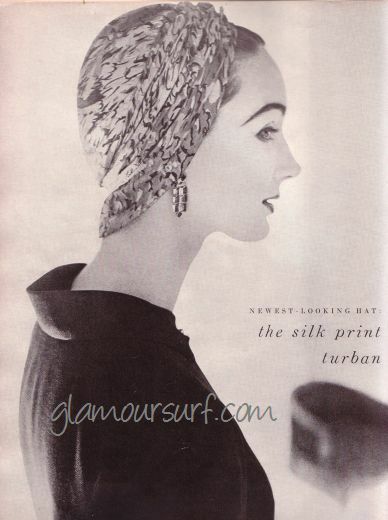 I always loved turbans! I'm glad it's in style! thank you! Same I need to get or make one!! Your blog is great too! Those turban groups on facebook are about a sect of Indians that wear it for religious reasons and their being made to remove it in Western countries. But I think turbans are very cool and make great accessories too. I can't wait to try one. Thanks for following, I am too. i absolutely love your blog.